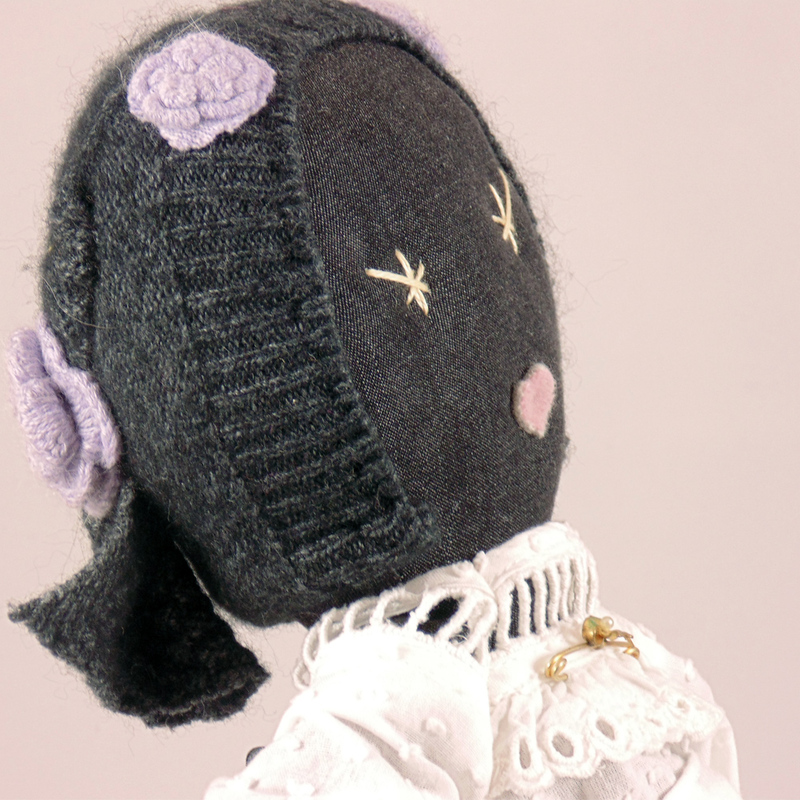 This doll-being is a girl with soft charcoal cashmere hair woven with mauve agora flowers. 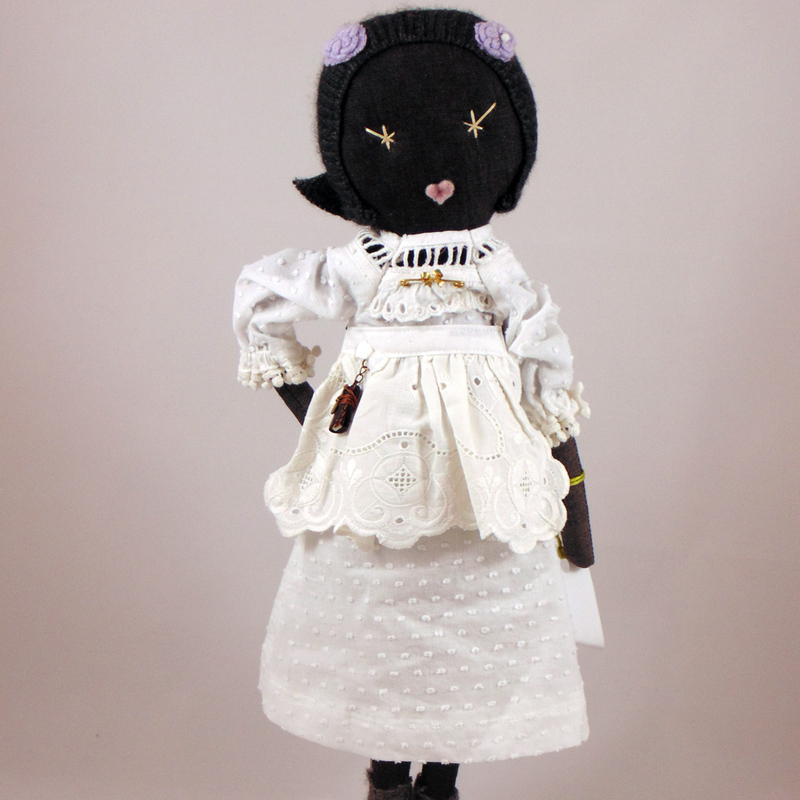 Her body is made from super soft almost-black stone-washed cotton. 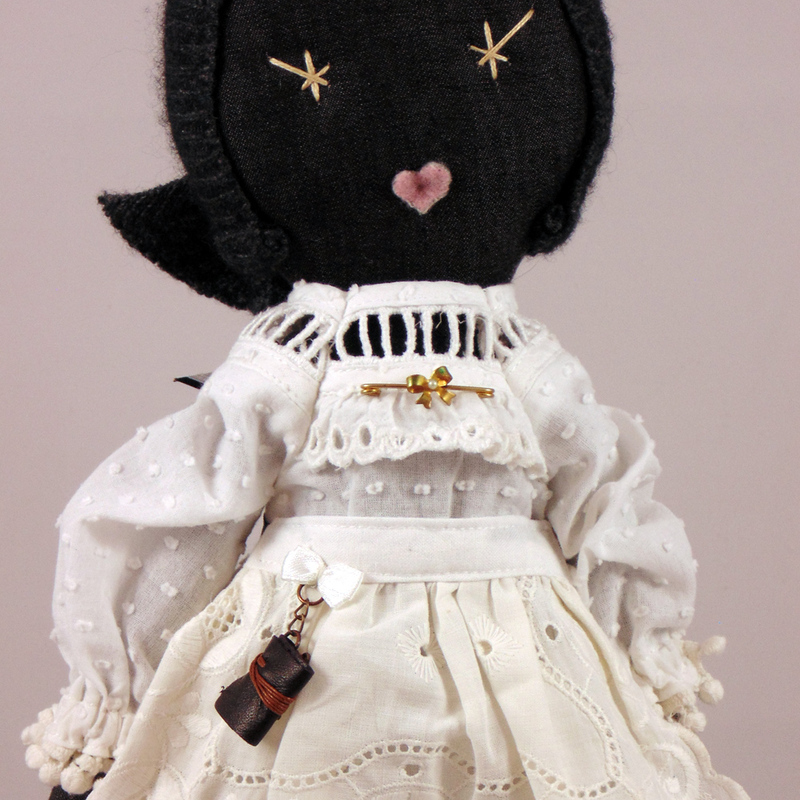 Her dress is vintage white eyelet with sleeves trimmed in petite pompoms. Her apron is antique white cotton, and just this morning she donned a 1940’s neck pin. 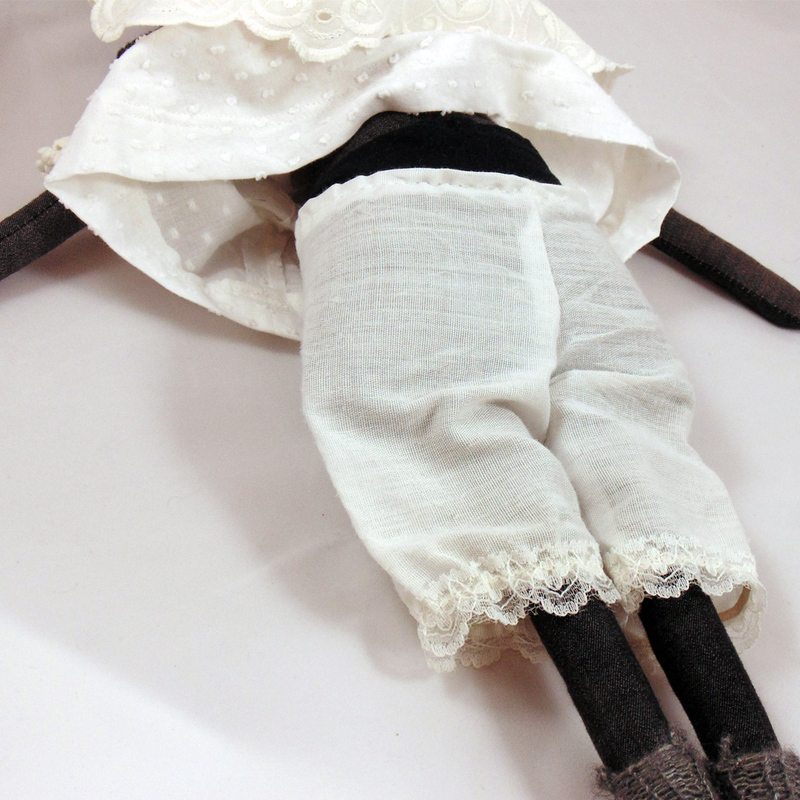 She has on a pair of white cotton bloomers, with black cotton undies beneath that! (She told me a girl can never be too careful). Isn’t she the old-fashioned one? 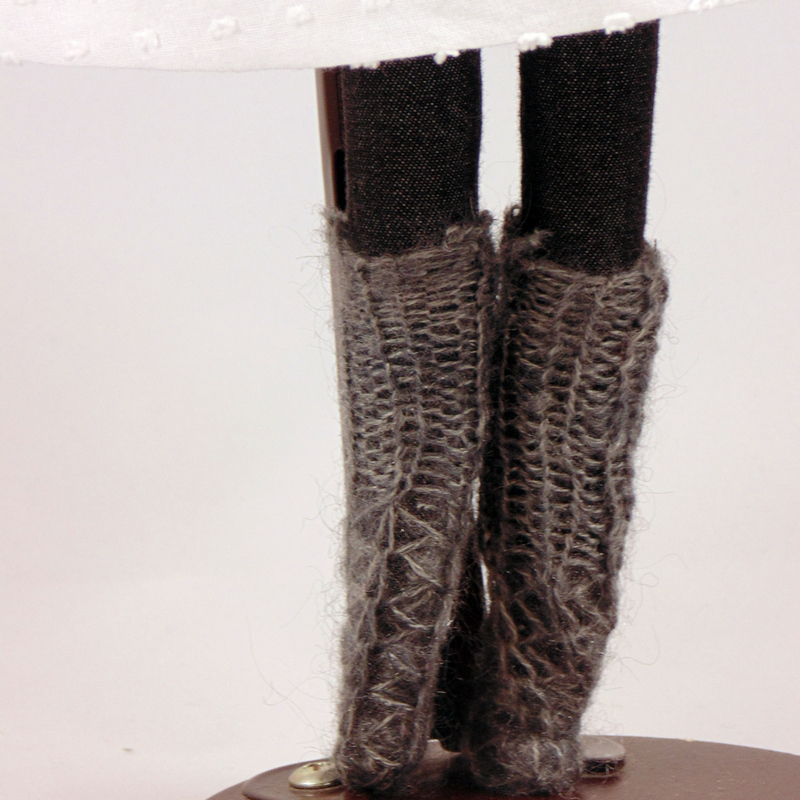 Her dove gray knitted stockings are mohair. 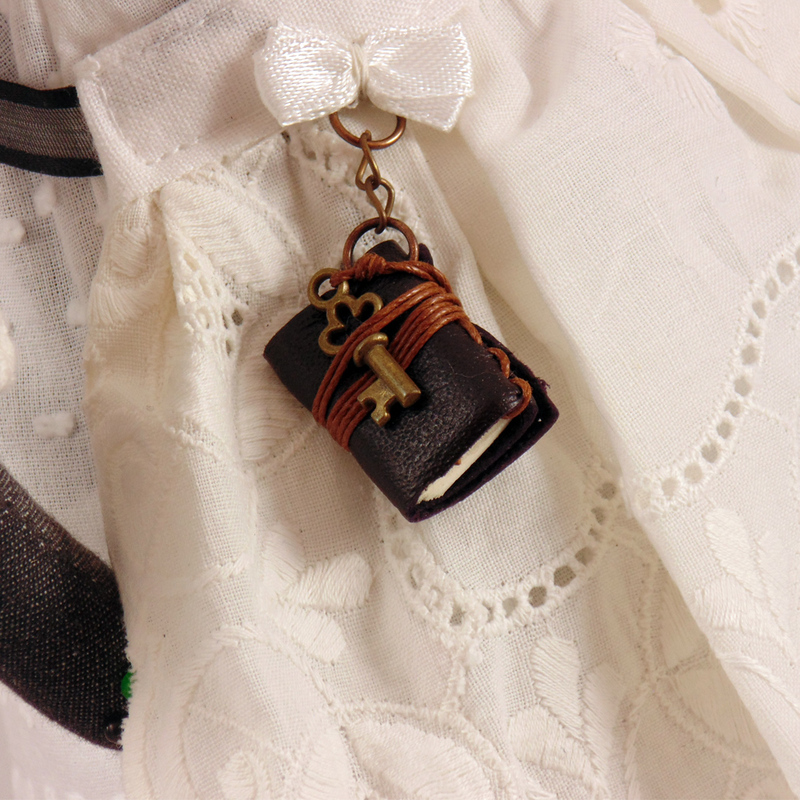 She carries a small leather book tied to her waistband for quiet moments of reflection to jot down her thoughts. She sure has presence and style. 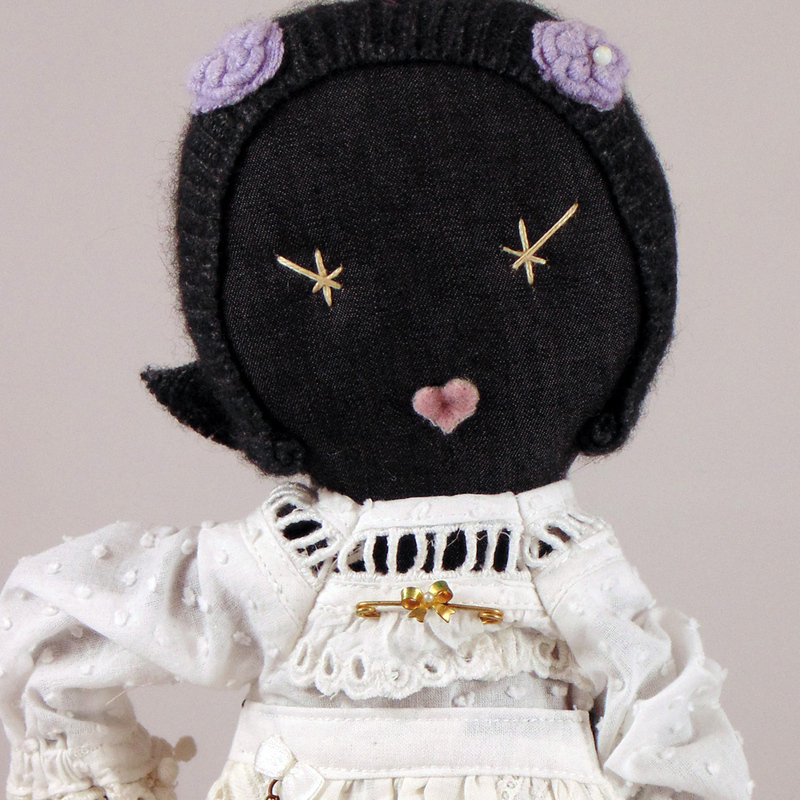 Doll Clothes: Made from recycled antique or vintage textiles. Trimmings from natural fibres of cotton, linen, silk and wool. Undies or knicker included if wearing a dress. 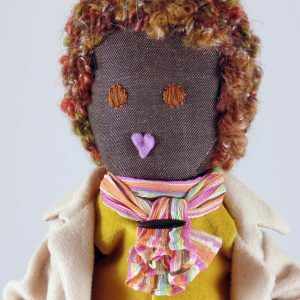 Note: Given the nature of handmade Ottawa rag dolls please allow for small variations in appearance. 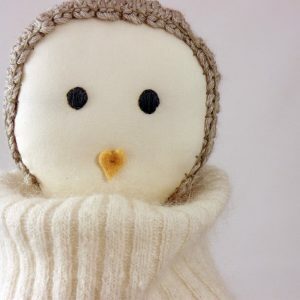 Caution: The articulated arms are attached at the shoulders and sewn with antique mother-of-pearl buttons and therefore may not be suitable for very young children. 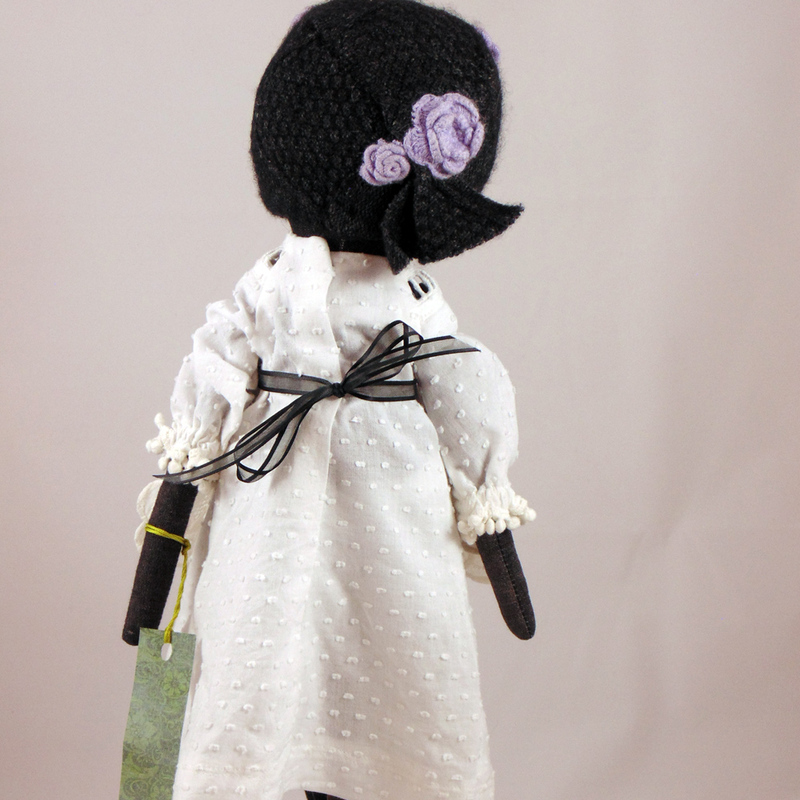 Ordering and Cancellation: My handmade Ottawa rag dolls are made to order; please allow up to two weeks for delivery. Cancellations must be made with 24 hours of original order date.